Tea tree oil or Melaleuca oil is an essential oil with a light golden shade to clear in color. It is usually obtained by steam distillation of the leaves of a plant native to Australia, which is Melaleuca alternifolia. Why tea tree oil is famous for acne treatment? There are number of products in which tea tree is used like shampoos, mouthwashes, creams, toothpastes, lotions and gels. Its popularity has been increasing since the past few years for effective acne and blemish treatment. Tea tree oil contains terpinen-4-ol which, in fact, is responsible for an antibacterial activity. It is most effective in killing Propionibacterium acnes when applying topically to acne lesions. Tea tree oil gel can be compared to benzoyl peroxide which is also used for acne treatments but has many side effects like burning, itching, irritation and dryness affected almost 79% people, while tea tree oil has less side effects, easy to use and most effective according to recent study. It is a precaution never to apply undiluted tea tree oil directly to ski which can cause irritation, itching, dryness, blistering and redness. Only 5% of the tea tree oil gel should be used to acne prone areas. A 5 ml of tea tree oil mixed with 95ml of water will make 5% tea tree oil solution. It has a long history of use as Australian aboriginals used its leaves for curing burns, healing skin wounds, combating against infections due to its antiseptic and antifungal property as major constituents of tea tree oil are terpenoids.They used to just crush the leaves and then apply to the affected areas. Some people experience allergic disorders by its use like mild skin disorders, blisters and rashes. 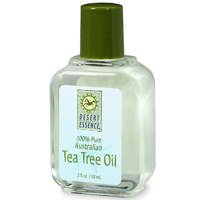 Tea tree oil is one of the five essential oils used for acne treatment. Acne sufferers know that how they treat their skin will have a great impact on the effectiveness of the treatments they may be using. helo and thank you for the useful post!! I just wanted to tell you how happy i am since I have started to read your posts!! So much thanks yet again, I look forward to your next article homie!!! Never thought that teatree oil has a lot of use. I actually used it for my acne but with no luck 🙁 I tried taking some vitamins hoping that pimples will disappear. Hi i read your site frequently and thought i would wish you all the best for the New Year! hey dude, I really like your site! What theme is it? I might have to hire you to design my site!, haha. Hey dude, I love your site. With the abundance of misinformation regarding acne on the internet, it’s great to see some refreshing content. Keep up the great work! Saw your blog bookmarked on Delicious. I love your site and marketing strategy. Will it make the color of the stretch mark go away? Your content is incredibly accurate. Quite a good post and reader comments here. I would like to point out that others have made a different viewpoint, especially in regards to natural health. Have you seen more related ideas on the Internet, and could you let me know where?